I was 11 years old and all my friends got taller, I got wider. At the early age of 11, I found food wasn’t just fuel, but a comfort. Sad? Eat, it will make you feel better. Bored? Have a Ding Dong or some chips, it will pass the time. I estimate I’ve lost 500 pounds and gained 600 over the past 40 years. Each New Year, I made the same promise to myself, “THIS IS THE YEAR.” I’m finally going to lose the weight and keep it off. Needless to say, none of those years was ever The Year. By high school, I weighed about 170 pounds. I had typical high school issues. To deal with them, I'd eat. I tried all the crazy diets (bananas, grapefruit, etc. ), I played tennis, I played golf, yet I continued to gain weight. I mask my feelings by being funny. Inside I cried. For four years, I would say “THIS IS THE YEAR” and four times I would fail. I went to college and was active in sports. I wasn't the best student that I could have been due to partying. I partied as a way to cope and hide my pain. My friends would tell me that I was one of the funniest people they knew. I continued to gain weight. Yet again, for the fifth year and the fifth time, I promised myself that “THIS IS THE YEAR” and it was the fifth time I failed. After graduation, I was off to explore the world and do great things. I continued with my practice of masking the sadness by being the ‘fun person’ in the room. I drank, I ate all the while telling myself that I was having fun. That "fun" was only a mask for the misery I felt. Again, I tried every diet I could find, Weight Watchers, NutriSystem, counting calories. Some worked for a while, but not very long. Because I felt like such a failure, I would eat more. I tried to find a passion for my work but it wasn't there, I couldn't seem to find it. All the time, in the back of my head, was the thought, “if you weren’t so fat this would be easy”. Nothing fits, nothing feels good. I want out of this body. I am sad, I am angry, I am...wait for it...hungry. So I ate more. Again, every New Year’s Day, my resolution was the same “THIS IS THE YEAR” and each time I would fail. 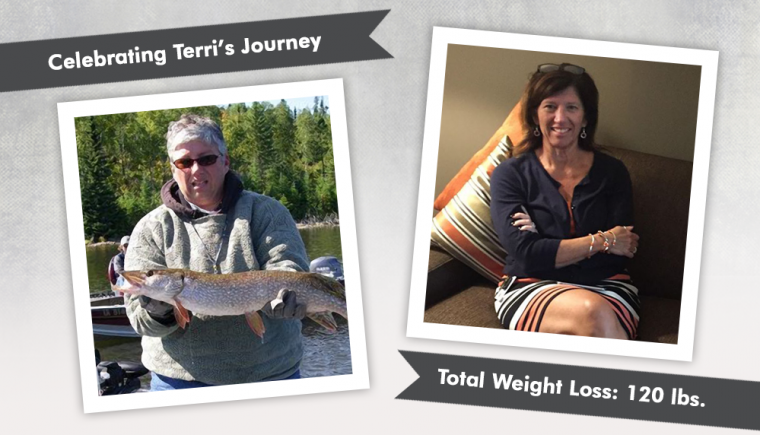 I was 51, I weighed 265 pounds, I wore a size 22. In October 2013, I had a good job, but my self-esteem was at an all-time low. I was convinced that I was going to be miserable for the rest of my life. My husband recognized this and he would talk with me about how I felt. We have known each other since eighth grade and he has seen it all. He knows my struggle and wanted to help because he supports me in everything that I do. We got to the point of talking about surgery. My husband and I decided to meet with a bariatric surgeon. 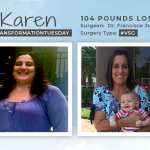 We discussed my habits, my life, and the three surgery options (Lap-Band, Gastric Bypass, and Sleeve). My surgeon told me that I was a perfect candidate for Sleeve surgery. We reviewed the process and what I was required to do. During my consultation, my surgeon's last comment to me was “I can get you to 150 pounds, what you do after that is up to you.” I laughed out loud. I weighed 170 pounds in high school. I don’t remember ever seeing 150 on the scale. My surgery was scheduled for March 2014. From October 2013 to March 2014, I met with a nutritionist, a psychologist, my surgeon, and a personal trainer. 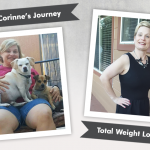 I kept wondering if I could possibly lose some of my excess weight by myself, pre-surgery? To prepare myself for post-surgery behaviors, I ate right and exercised, I stopped drinking fluids during meals (the hardest), I avoided all carbonation (no more beer or Diet Mountain Dew), I ate fewer carbs and more protein, and cut out all sugar from my diet. I read everything I could on the surgery. I watched it on YouTube. I was obsessed with it. I could think of nothing else. This obsession continued until the day before my surgery, when I had a ‘good-bye’ meal, eating all the things that I thought I couldn't post-surgery. I gained weight and I cried. I believed the surgery would be a failure as well. My mom came from Iowa to help my husband my recovery. My surgery lasted about 45 minutes. I woke up and wanted to die. I had nausea and excruciating pain. I cried and asked myself "what did I just do?" Before I could leave the hospital, I had to drink a special liquid so they could x-ray my stomach for leaks. This was the worst. I kept doubting having the surgery for the next five days. The bile, pain, and unbelievable nausea was awful. My mom and husband helped me walk and would get me sugar-free popsicles. I wasn't able to eat half of a sugar-free popsicle in an entire day. My husband and my mom continued to encourage me, listened to me cry and told me it would get better. Miraculously, it does. The first two weeks my intake is only clear liquids. I didn't want anything but they kept reminding me how important it was to keep up my intake. By day six, I started to feel better. I put on a sweatshirt that used to be tight and just six days later, it doesn’t seem so. I couldn't believe it but it was working, but would it last? I went to the doctor for my two-week checkup and found out I was progressing nicely being on track. At the one month mark, following the plan, I had lost about 30 pounds, almost a pound a day. Months go by, and my hair starts to fall out but grows back. I keep getting on the scale and it keeps moving lower. Now, I have four different sizes of clothes in my closet. I start wearing 18’s then 16’s. Happily, my WLS worked! My NSVs are numerous, The most impactful ones? I can cross my legs on a plane, I can wear white pants, I try on a size 10 dress in the fitting room and do a little dance, and I start playing tennis again with no pain. In December 2014, I hit my goal weight. 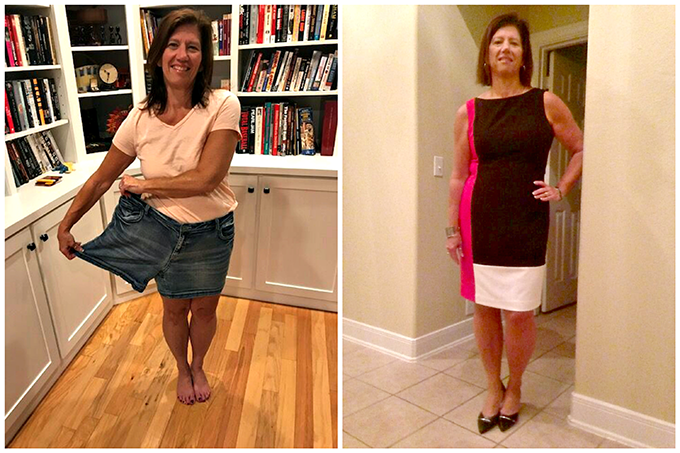 I was 54 years old, lost 120 pounds and weighed 147 pounds, wearing a size 8 in clothes. No more failures – only success. The hardest part of this? It took 37 long years for it to be THE YEAR. I realized on January 1st, 2015, that 2014 was THE YEAR. The goal I have had for all those years finally came true. I danced, I sang, I jumped up and down, I laughed, and I had a good, happy cry. There are some side effects. I don’t really enjoy eating like I used to. I now have to deal with the emotions that eating resolved. None of these compare to how I feel emotionally and physically. 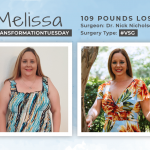 Before & After VSG with Melissa, losing 109 lbs!